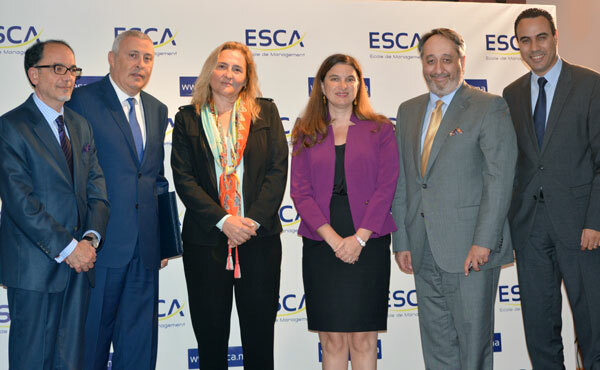 As part of its international development, HEC Montréal has just signed an agreement to expand its collaboration in Morocco with ESCA École de Management. The two institutions have already been working together. Since September 2016, students have been able to complete a Bachelor's in Business Administration (BBA) by doing two years of the program at ESCA École de Management, followed by two years at HEC Montréal. The new agreement now paves the way for collaboration on master's-level programs, along with training for executives and managers. The institutions also plan to focus on joint research activities, especially in the areas of entrepreneurship, innovation, social innovation and sustainable development, and to collaborate on writing case studies specific to organizations active in Morocco. ESCA École de Management, founded in 1992, is the top-ranking business school in Morocco. Every year, the school trains 1,100 students, executives and managers of 25 different nationalities.